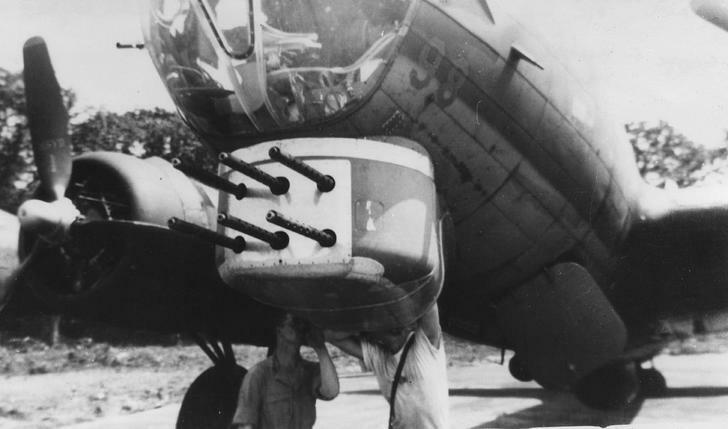 During WWII head-on attacks targeting the pilot and bombardier were common at one point. What you will see here was an attempt to ward that off. 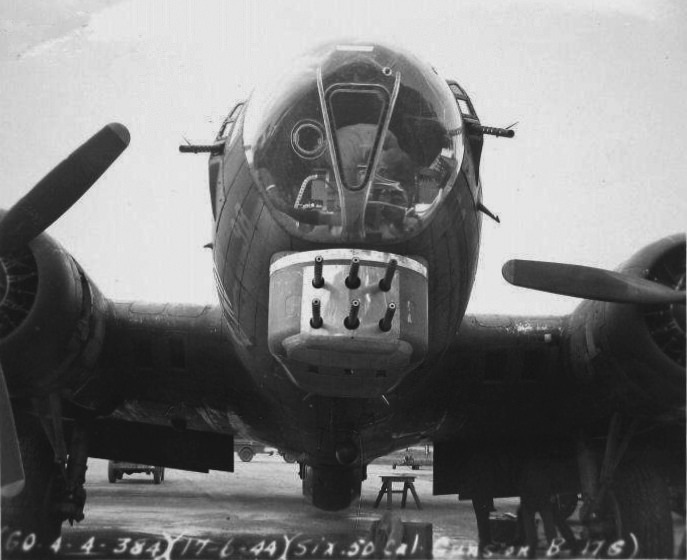 This B-17G was fitted with an experimental chin “turret” armed with 6 fixed .50 cal. 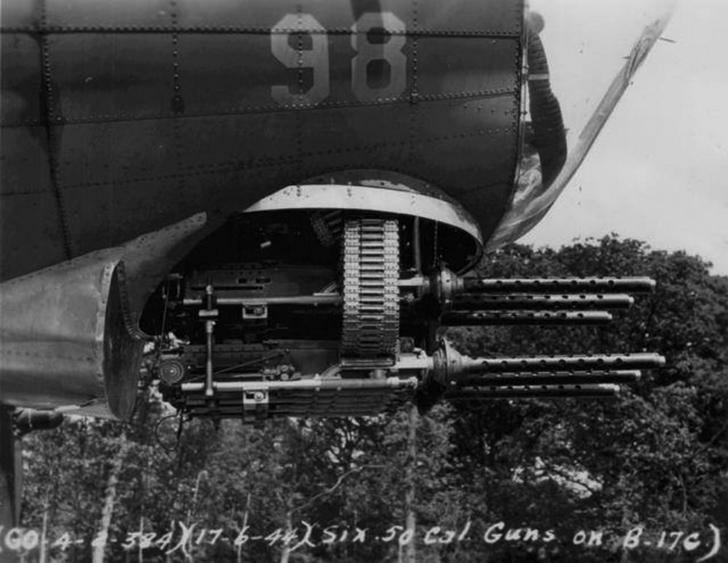 machine guns, strange but in wartime, you try everything… The design was made by Armaments Officer Mike Mazer and guns were fired by the pilot. 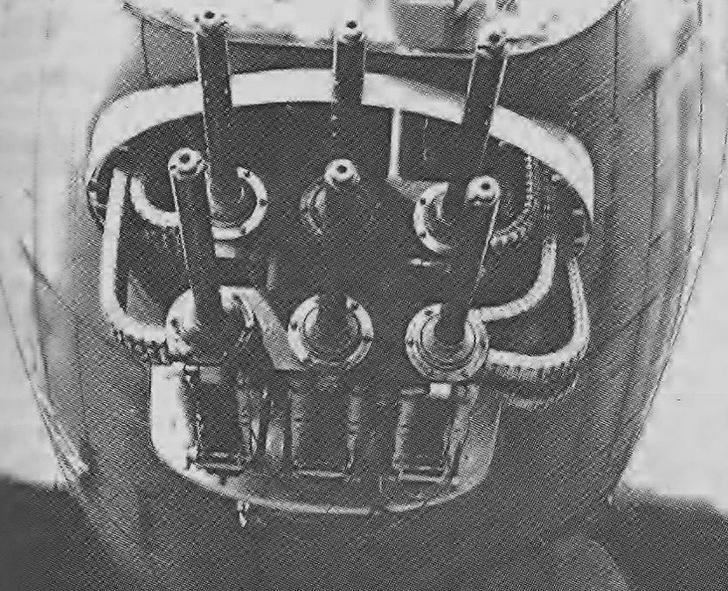 It was more of a fixed forward-firing gun pod than a turret and the ammunition was stored in the nose compartment. You can see the feed chutes going up through the lower part of the fuselage. 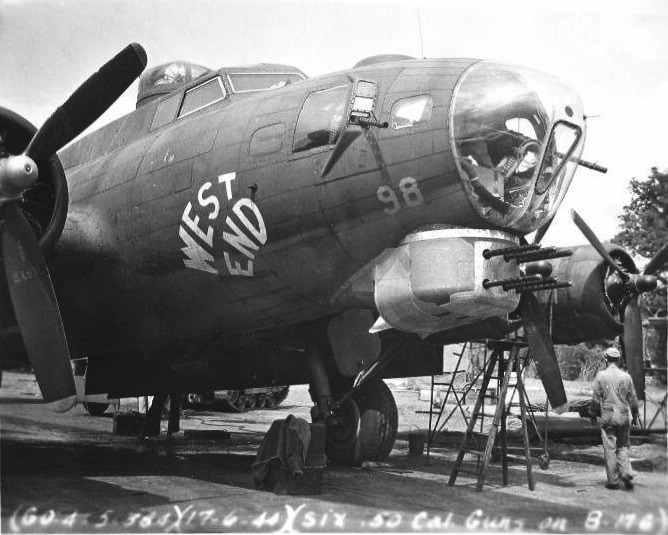 Aircraft 42-31435 “West End” successfully completed many operational sorties with the new nose gun installation but, while conclusively proving the mechanical practicability of the design, a temporary cessation of head-on attacks by enemy prevented the proof of its effectiveness. “West End” crash-landed on an RAF airfield due to flak damage and unfortunately the landing destroyed the front turret. Couldn’t prove its effectiveness though, as Nazi pilots stopped attacking head-on. Previous articleLong-distance aviation in the late 30s – This is how all air travel should be! Next articleUS Military Aircraft Upside Down On A Pedestal! Why?